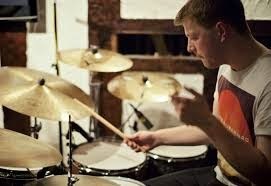 Birmingham-based drummer and composer Jonathan Silk has been awarded the 2014 Young Scottish Jazz Musician award. The final took place on Wednesday evening at Glasgow's Old Fruitmarket, kicking off this years Glasgow International Jazz Festival. Alongside Jonathan, 4 other finalists took part - saxophonist Helena Kay (currently studying at Guildhall School of Music and Drama), trumpeter Sean Gibbs (currently studying at Birmingham Conservatoire), drummer John Lowrie (graduate of Royal Conservatoire of Scotland) and pianist Fergus McCreadie (soon to take up a scholarship at Royal Conservatoire of Scotland). Jonathan wins £1000 cash prize, plus a further £1000 from Birnam CDs to support the release of a CD. The entire final can be heard on BBC Radio Scotland's Jazz House, available on Listen Again until Wednesday.